A review on research progress of speciation analysis of lead was presented, with emphasis on the applications of chromatography and capillary electrophoresis hyphenated with spectrometry and mass spectrometry. The prospect of lead speciation analysis was also discussed. 方勇, 杨文建, 陈悦, 马宁, 胡秋辉 (2013) 重金属的化学形态及其食品安全.中国粮油学报, 6, 123-128. 陈维, 周耀明, 张倩倩, 杨小弟 (2005) 萃取技术和联用技术在铅的形态分析中的应用. 常熟理工学院学报, 2, 45-51. 梁淑轩, 孙汉文 (2003) 痕量元素形态分析技术及其应用研究进展. 理化检验——化学分册, 7, 434-439. 吴宏, 黄德乾, 金焰, 田野, 毕树平 (2008) 环境样品中铅、锑、汞、硒形态分析研究进展. 环境检测管理与技术, 4, 9-17. Beceiro-González, E., Guimaraes, A. and Alpendurada, M.F. (2009) Optimisation of a headspace-solid-phase micro- extraction method for simultaneous determination of organometallic compounds of mercury, lead and tin in water by gas chromatography-tandem mass spectrometry. Journal of Chromatography A, 1216, 5563-5569. 周群芳, 江桂斌 (2002) 气相色谱法在有机锡形态化合物形态分离与测定中的应用. 分析科学学报, 3, 240-246. Peñalver, R., Campillo, N. and Hernández-Córdoba, M. (2011) Comparison of two derivatization reagents for the simultaneous determination of organolead and organomanganese compounds using solid-phase microextraction followed by gas chromatography with atomic emission detection. Talanta, 87, 268-275. Baena, J.R., Gallego, M. and Valcárcel, M. (2001) Comparison of three coupled gas chromatographic detectors (MS, MIP-AES, ICP-TOFMS) for organolead speciation analysis. Analytical Chemistry, 73, 3927-3934. Leal-Granadillo, I.A., Alonso, J.I.G. and Sanz-Medel, A. (2000) Determination of the speciation of organolead compounds in airborne particulate matter by gas chromatography-inductively coupled plasma spectrometry. Analytica Chimica Acta, 423, 21-29. Salih, B. (2000) Speciation of inorganic and organolead compounds by gas chromatography-atomic absorption spectrometry and the determination of lead species after pre-concentration onto di-phenylthiocarbazone-anchored polymeric microbeads. Spectrochimica Acta Part B, 55, 1117-1127. Campillo, N., Cacho, J.I., Marín, J., Viñas, P. and Hernández-Córdoba, M. (2014) Utrasound-assisted emulsification microextraction of organolead and organomanganese compounds from seawater and their determination by GC-MS. Microchimica Acta, 181, 97-104. Parkinson, D.R., Bruheim, I., Christ, I. and Pawliszyn, J. (2004) Full automation of derivatiza-tion—Solid-phase microextraction-gas chromatography-mass spectrometry with a dual-arm system for the determination of organometallic compounds in aqueous samples. Journal of Chromatography A, 1025, 77-84. Pons, B., Carrera, A. and Nerín, C. (1998) Speciation of ionic alkyllead compounds in human urine by gas chromatography-mass spectrometry after butylation through a Grignard reaction. Journal of Chromatography B: Biomedical Sci- ences and Applications, 716, 139-145. Heisterkamp, M. and Adams, F.C. (2001) Gas chromatography-inductively coupled plasma—Time-of-flight mass spectrometry for the speciation analysis of organolead compounds in environmental water samples. Fresenius’ Journal of Analytical Chemistry, 370, 597-605. Centineo, G., González, E.B. and Sanz-Medel, A. (2004) Multielemental speciation analysis of organometallic compounds of mercury, lead and tin in natural water samples by headspace-solid phase microextraction followed by gas chromatography-mass spectrometry. Journal of Chromatography A, 1034, 191-197. 帅琴, 杨薇, 张生辉, 郑楚光, 郑岳君 (2004) 顶空固相微萃取–气相色谱质谱联用测定烷基铅的研究. 分析试验室, 2, 14-17. Zúñiga, M.C., Jover, E., Arancibia, V. and Bayona, J.M. 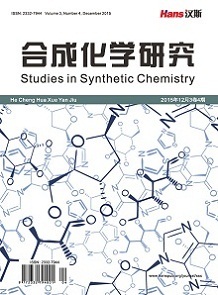 (2009) Development of a methodology for the simultaneous determination of inorganic and organolead compounds using supercritical fluid extraction followed by gas chromatography-mass spectrometry and its application to environmental matrices. Talanta, 80, 504-510. Gonzalvez, A., Cervera, M.L., Armenta, S. and de la Guardia, M. (2009) A review of non-chromatographic methods for speciation analysis. Analytica Chimica Acta, 636, 129-157. Jitaru, P., Infante, H.G. and Adams, F.C. (2004) Simultaneous multi-elemental speciation analysis of organometallic compounds by solid-phase microextraction and multicapillary gas chromatography hyphenated to inductively coupled plasma-time of flight-mass spectrometry. Journal of Analytical Atomic Spectrometry, 19, 867-875. Al-Rashdan, A., Heitkemper, D. and Caruso, J.A. (1991) Lead speciation by HPLC-ICP-AES and HPLC-ICP-MS. Journal of Chromatographic Science, 29, 98-102. Ebdon, L., Hill, S.J. and Rivas, C. (1998) Lead speciation in rainwater by isotope dilution-high performance liquid chromatography-inductively coupled plasma-mass spectrometry. Spectrochimica Acta Part B: Atomic Spectroscopy, 53, 289-297. Mester, Z., Lord, H. and Pawliszyn, J. (2000) Speciation of trimethyllead and triethyllead by in-tube solid phase microextraction high-performance liquid chromatography electrospray ionization mass spectrometry. Journal of Analytical Atomic Spectrometry, 15, 595-600. 潘元海, 刘湘生, 何小青, 王长华 (2005) 铅形态的高效液相色谱–电感耦合等离子体质谱分析. 分析化学研究简报, 11, 1560-1564. Azenha, M.A.G.O. and Vasconcelos, M.T.S.D. (2000) Assessment of the Pb and Cu in Vitro availability in wines by means of speciation procedures. Food and Chemical Toxicology, 38, 899-912. Chang, L.F., Jiang, S.J. and Sahayam, A.C. (2007) Speciation analysis of mercury and lead in fish samples using liquid chromatography-inductively coupled plasma mass spectrometry. Journal of Chromatography A, 1176, 143-148. Shum, S.C.K., Pang, H. and Houk, R.S. (1992) Speciation of mercury and lead compounds by microbore column liquid chromatography-inductively coupled plasma mass spectrometry with direct injection nebulization. Analytical Chemistry, 64, 2444-2450. AL-Rashdan, A., Vela, N.P. and Caruso, J.A. (1992) Lead speciation by gradient high-performance liquid chromatography with inductively coupled plasma mass spectrometric detection. Journal of Analytical Atomic Spectrometry, 7, 551-555. Brown, A.A., Ebdon, L. and Hill, S.J. (1994) Development of a coupled liquid chromatography-isotope dilution inductively coupled plasma mass spectrometry method for lead speciation. Analytica Chimica Acta, 286, 391-399. Muse, J., Tripodi, V. and Lucangioli, S. (2014) An overview of capillary electrophoresis in element speciation analysis of the environment. Current Analytical Chemistry, 10, 225-230. Timerbaev, A.R. (2009) Capillary electrophoresis coupled to mass spectrometry for biospeciation analysis: Critical evaluation. Trends in Analytical Chemistry, 28, 416-425. Lee, T. and Jiang, S.J. (2005) Speciation of lead compounds in fish by capillary electrophoresis-inductively coupled plasma mass spectrometry. Journal of Analytical Atomic Spectrometry, 20, 1270-1274. Liu, W. and Lee, H.K. (1998) Use of triethylenetetraminehexaacetic acid combined with field-amplified sample injection in speciation analysis by capillary electrophoresis. Analytical Chemistry, 70, 2666-2675. 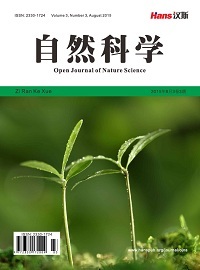 孙微, 王磊, 李一峻, 何锡文 (2004) 电化学分析方法在元素形态分析中的应用. 分析化学评述与进展, 4, 541- 545. Fischer, E. and van den Berg, C.M.G. (2001) Determination of lead complexation in lake water by cathodic stripping voltammetry and ligand competition. Analytica Chimica Acta, 432, 11-20. 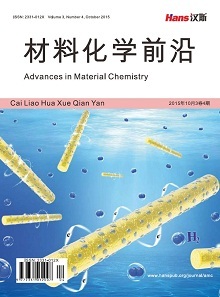 贾滨, 张兴磊, 丁健桦, 杨水平, 陈焕文 (2012) 电喷雾萃取电离萃取技术及其应用进展. 科学通报, 20, 1918- 1927. Chen, Z., Owens, G., Kim, K.R. and Naidu, R. (2007) Confirmation of lead aminocarboxylic complex formation using electrospray ionization mass spectrometry and speciation by anion-exchange chromatography coupled with ICP-MS. Analytica Chimica Acta, 599, 163-169. Chen, W.H., Lin, S.Y. and Liu, C.Y. (2000) Capillary electrochromatographic separation of metal ion species with on- line detection by inductively coupled plasma mass spectrometry. Analytica Chimica Acta, 410, 25-35.